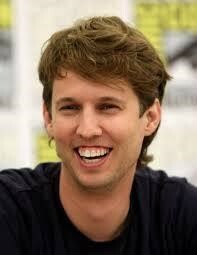 Jonathan Joseph Heder, billed as Jon Heder, is an American actor, filmmaker, and voice actor who was launched into fame after his role as the lead character in the comedy film Napoleon Dynamite. Heder was born in Fort Collins, Colorado, on October 26, 1977. He has an identical twin brother, Dan, and an older sister and brother and two younger brothers. His parents, Dr. James Heder and Helen Brammer Heder, moved the family to Salem, Oregon, when Jon was two-years-old. He graduated from South Salem High School in 1996, where he was a member of the drama association and competed with the swim team. While a student at Brigham Young University, Heder became friends with Jared Hess and starred in his short film "Peluca" (2003). Hess later expanded the film into Napoleon Dynamite. Hess showed "Peluca" at a few college and local film festivals and competitions, including the Sundance Film Festival, where it received rave reviews. Napoleon Dynamite earned $44.5 million at the box office. Heder earned $1000 for his participation. In 2000, Heder also appeared in two short films, The Wrong Brother and Funky Town. Heder studied animation at BYU and worked on the short CGI animated film “Pet Shop,” written by Logan Deans. The film earned a non-traditional animation student Emmy in 2005. Heder’s name appears in the credits, although he did not return to complete the work he started after his movie career began. He graduated from BYU in 2002. In June 2005, Heder received the MTV Movie Award for Best Musical Performance and Breakthrough Male Performance for his role in Napoleon Dynamite. He also won two Teen Choice Awards. He and his co-star Efren Ramirez, who played Pedro, filmed a series of commercials for the 2005 Utah State Fair portraying their characters from the movie. They also reprised their roles in a sketch called “Napoleon Bonamite” on the animated series Robot Chicken. Since Napoleon Dynamite, Heder has appeared in or lent his voice to a number of films, including Just Like Heaven, The Benchwarmers, Monster House, School for Scoundrels, Blades of Glory, Surf’s Up, Mama’s Boy, When in Rome, Walt Before Mickey, Relatively Super, and Killing Winston Jones. He has appeared in several television shows including My Name Is Earl and How I Met Your Mother. His voice work is extensive, including Pinocchio, A Monsterous Holiday, Beyond Beyond, Teenage Mutant Ninja Turtles (series), My Dad Is Scrooge, The Legend of Korra, Armikrog (video game), Hedgehogs, Surf's Up 2, Star vs. the Forces of Evil, All Hail King Julien: Exiled, Pickle and Peanut, and Sunshine Brownstone. He also voiced the main character in Fox’s animated remake of Napoleon Dynamite. Fox announced in February 2014 that Heder will appear as a regular in a new comedy series Here’s Your Damn Family. Heder jumped into web television in 2008 with the web series Woke Up Dead, which Heder both produced and starred in. He and his twin brother, Dan, appear as villains in the fourth episode of the popular Internet martial arts comedy series Sockbaby. He costarred with Patrick Stewart in Christmas Eve, which was released in December 2015. Heder said that he received many offers after the success of Napoleon Dynamite that he turned down because they were too raunchy and against the standards he lives by as a member of The Church of Jesus Christ of Latter-day Saints. Heder served a full-time mission to Japan. He was asked whom he considered his heroes, and he replied his father, his wife, his church leaders, and his mission president. He and his wife Kirsten have three children and live in Los Angeles, California. This page was last edited on 27 March 2019, at 18:46.